A panel of federal judges recently handed Mayor Byron W. Brown a major legal victory, but it also suggested the pay-to-play allegations at the core of the case raise "troubling questions" about the city's handling of a $12 million housing project. At one point in their ruling, the appeals court judges refer to the allegation that Brown scuttled the project because the developer would not hire one of his political allies, and they claim there is "substantial evidence" to support it. Nevertheless, the three-member panel pointed to legal flaws in the lawsuit brought by NRP Properties, the Cleveland developer that had been in line to build the project, and ordered it dismissed. In siding with the city, the judges said they were "constrained" by the law and indicated "it can be reasonably inferred" that the city would have moved forward with NRP if the developer had agreed to hire the mayor's ally. "NRP's allegations and evidence raise troubling questions about defendants' conduct regarding the East Side II development," judges from the Second Circuit U.S. Court of Appeals said in the decision. Brown declined to comment on the decision but, in the past, has denied the allegations of corruption. From Day One, he argued that his opposition to the NRP project was rooted in public policy concerns, namely the rent-to-own theme behind the development. The judges who reviewed the case, now 8 years old, pointed to sworn statements from Steven M. Casey, deputy mayor at the time, and Steven J. Weiss, a lawyer for NRP, and told a far different story. "NRP argues that a proposed 50-home affordable housing project in the City of Buffalo fell apart at the eleventh hour because city officials prioritized cronyism over civic responsibility," they said in the decision. "Those are serious allegations, and NRP has come forward with substantial evidence of their accuracy." The appeals court looked at the impasse between Brown and NRP and determined it was rare for projects that far along in the development process to suddenly end. The judges also reviewed the history of the project and described it as a development that might have benefited low-income people in Buffalo. They also pointed to the evidence gathered by NRP and said it suggests the city's motive in killing the project was either "caprice or a form of political engagement whose ethical valence seems dubious," the court said. "We are troubled by the implications of the evidence that NRP adduced in support of its claim," the panel said. In the suit against the city, NRP said Brown wanted the developer to hire his longtime ally, the Rev. Richard A. Stenhouse, to oversee minority involvement in the project and that he suggested more than once that the multimillion housing project was at risk. Weiss, in an affidavit filed with the court, said the mayor was vocal about making "Stenhouse happy." 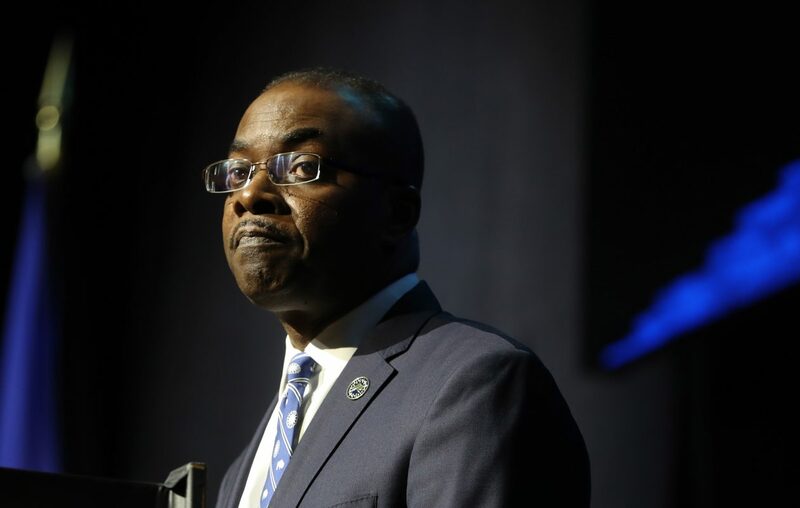 Mayor Brown further stated that he was sick of seeing "white developers on the East Side with no black faces represented," Weiss said. When NRP went forward with its request for proposals and hired someone other than Stenhouse, Weiss said Brown told him, "I told you what you had to do and you hired the wrong company." Stenhouse, a well-known and influential minister involved in development on the East Side, was a defendant in the suit until he settled with NRP for a reported $200,000 in early 2012. Despite settling, Stenhouse has said, through his lawyers, that he never demanded or in any way insisted on a contract with NRP. In 2017, U.S. District Judge William M. Skretny dismissed NRP's suit, citing the principle that city leaders' are "immune from civil liability" in such cases. The appeals court also cited legislative immunity in affirming Skretny's ruling. NRP declined comment on the appeals court's decision upholding the dismissal.